Only the Isabela oriole (O. isabellae) on isolated mountains in the northern Philippines is considered Endangered. Its habitat is threatened by clearing and logging, even in reserves. There are two Vulnerable species: the silver oriole (O. mel-lianus), which breeds locally in south-central China, and winters south to Thailand and Cambodia, and the Sao Tome oriole (O. crassirostris) of remnant primary forests on Sao Tome Island, tropical West Africa. Habitat disruption and, for the latter, pesticides are thought to have contributed to decline. 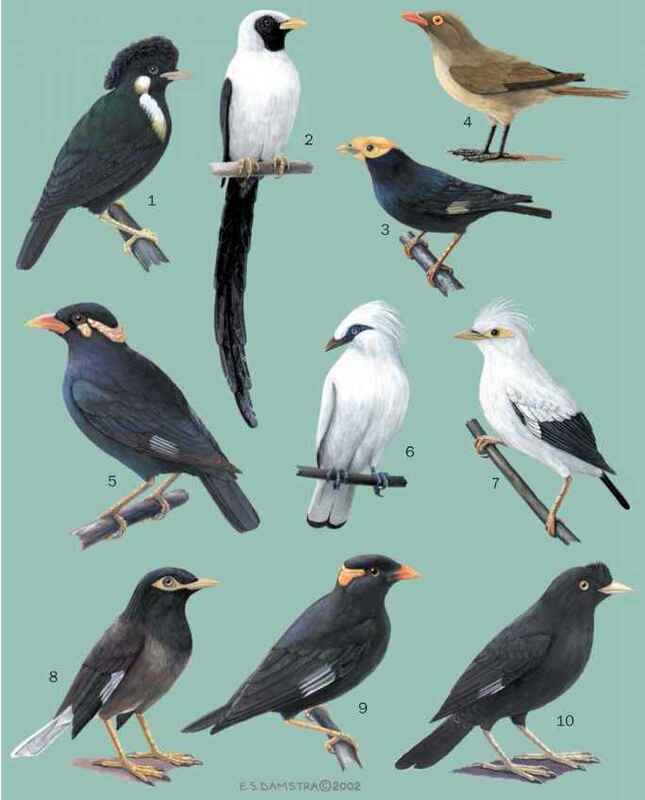 Three species are Near Threatened: the black oriole (O. hosii) of montane northeast Borneo, the dark-throated oriole (O. xanthono-tus) of Southeast Asia, and the Wetar figbird (Sphecotheres hypoleucus), which is endemic to Wetar in the Lesser Sundas.